The magician shows a candlestick to the audience with a candle in it. He lights the candle and then he takes the candle from the candlestick and makes it disappear. 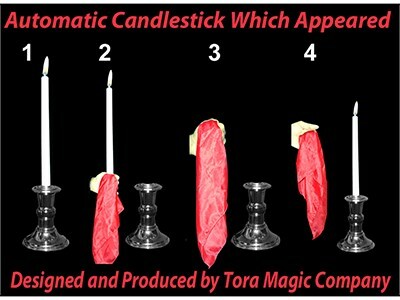 Now he takes the empty candlestick and in a magic movement the candle appears again in the candlestick. This trick is very easy to perform as the candle disappears and appears easily. Complete with a DVD that includes a performance and training sequence.